Want to click a button and generate new sequences based on the parameters you have set? Rifflab from Red Earth Audio is a “Probability based Step Sequencer” for Native Instruments Reaktor. The full version has 3 sequencers and is just $9. while the free lite version has 1 sequencer. Get it – it’s free! Easily generate inspiring Basslines, Leads, Melodies, Chords and Arpeggios based on your requirements. Rifflab is a must have for any musician or producer who needs inspiration. Whether you are starting a new track or missing that certain something from your next big hit, Rifflab can deliver. Rifflab rapidly generates musical sequences based on the Probability parameters set by you. The Probability sliders allow control of Pitch, Velocity, Note Length, Step Length, Progression, and up to 7 Modulation lines for each generated sequence. After setting your parameters, let Rifflab generate unlimited inspiring possibilities. RIFFLAB does not output any audio itself, but sends generated MIDI data to the chosen MIDI channel(s) to drive anything that allows MIDI input. 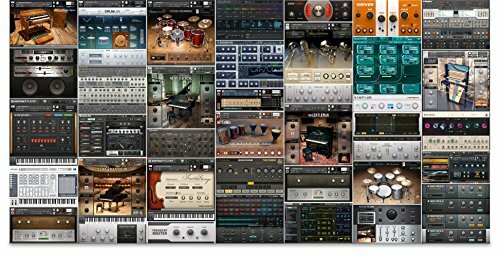 Full version of Native Instruments REAKTOR 5.9.2+ required.